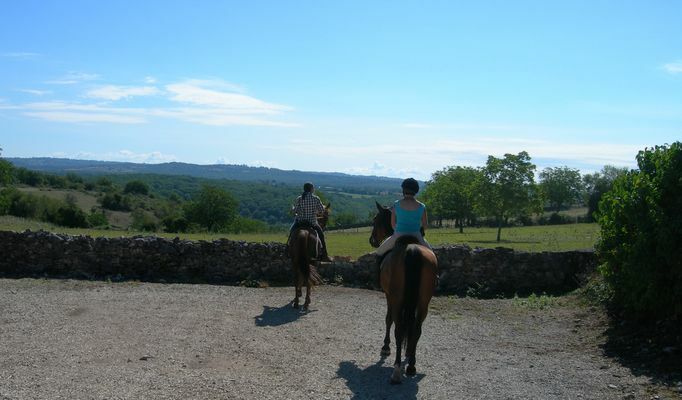 Starting from the "Hauts Ferrés" farm in Saint Clair or the Landes farm in Le Vigan, Marion, whose passion is outdoor riding, will take you hacking for 1 or 2 hrs, or for half day rides ; she also gives lessons in various skills (saddling, work on the flat, cross-country..) All year round, Marion will accompany you on one-day, weekend or one week treks. Get away from it all to explore the Lot; its landscapes, good food and wine and conviviality. 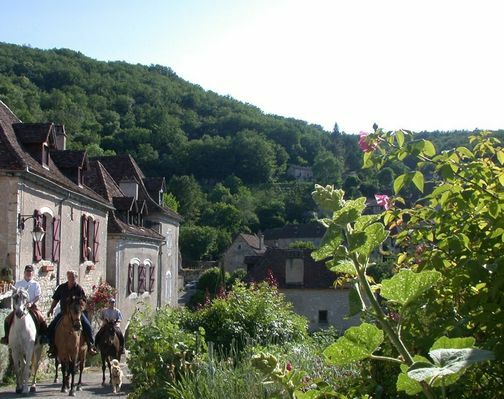 Accommodation in stopover gîtes or B & B rooms. 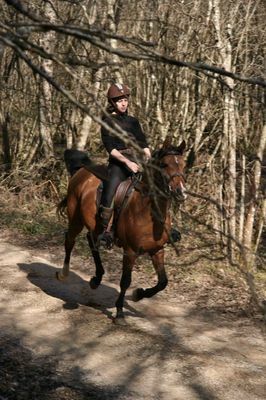 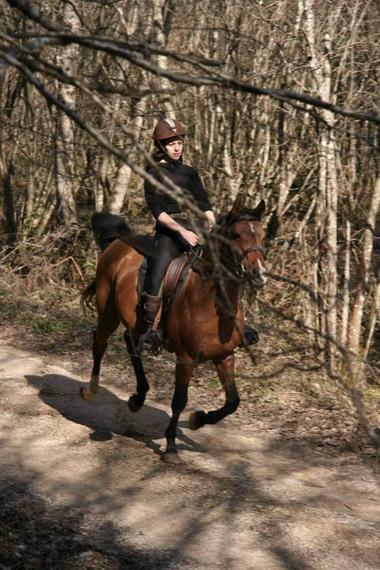 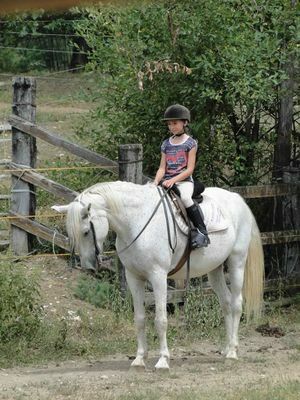 The horses, experienced and adapted to riders of all abilities, are some Iberian, some Arab and some hacks, all selected for their particular qualities. 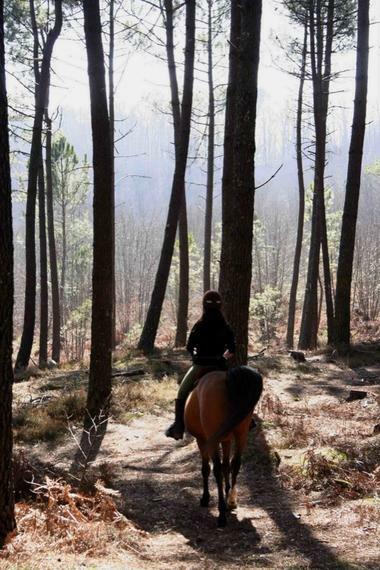 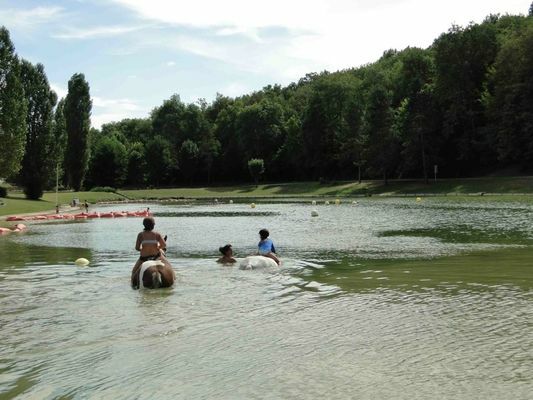 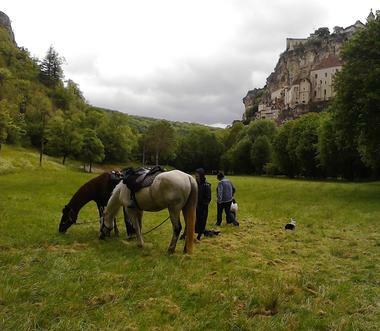 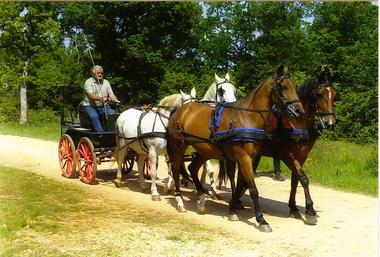 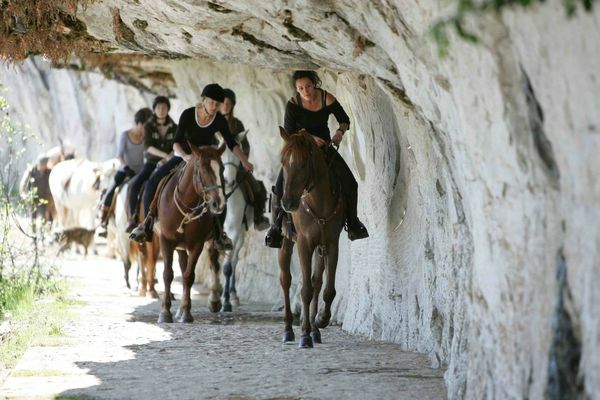 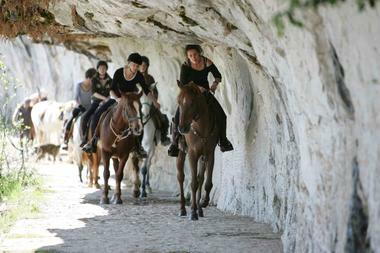 The trekking saddles are Antarès and Forestier.